Description This relief was probably made for attachment to a vase and was originally painted. The maiden's running pose and windblown garment echo monumental reliefs and precious metalwork. From Alexander to Cleopatra: Greek Art of the Hellenistic Age. The Walters Art Gallery, Baltimore. 1988-1989. 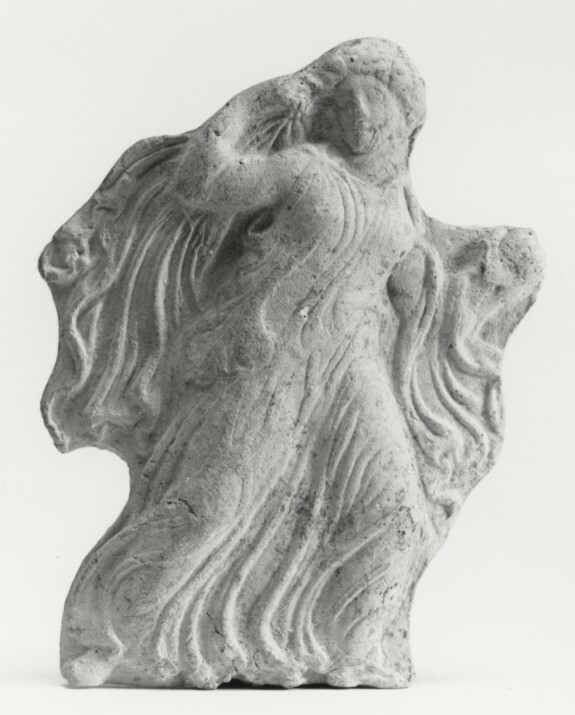 Provenance Ms. Areil Herman, Gallery Acanthus, New York; Walters Art Museum, 1986, by purchase.